This is one of of newer hats here at FMT. They're dark grey in the front and black mesh in the back. 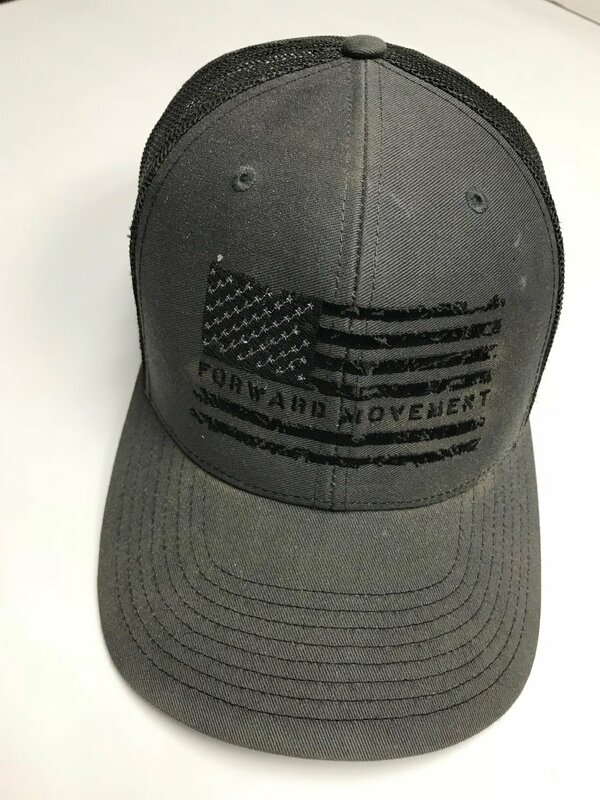 The hat is adjustable and features the American Flag on the front with "Forward movement" written across the flag and "FMT" on the side.